We understand that no floor is 100% level! That is why Screenflex Room Dividers are equipped with our proprietary non-marking self-leveling casters. Screenflex designers found that similar to shock absorbers on a car, self-leveling casters absorb any bumps, obstacles, and roughness of the flooring surface. 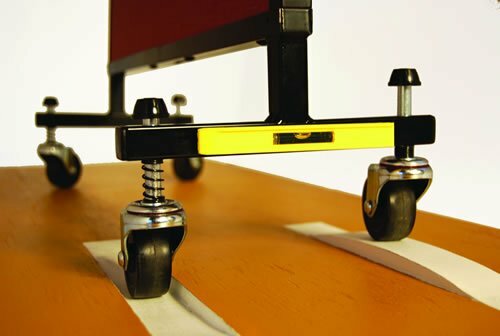 This technology provides you with a safe and stable divider that remains in contact with your floor during setup, in use, and when stored. You can rest assured that if your floor has some dips and bumps, your divider will remain stable and straight.